So, you have selected and set up a suitable aquarium you may even have your betta fish and you are wondering what equipment a betta fish owner needs. 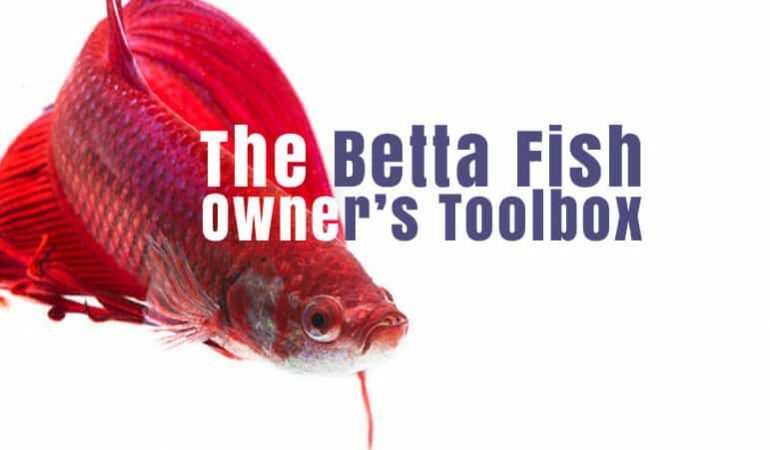 Here is the list of the must have tools for any betta fish owner. These always come in handy! A bucket or large dish is an essential bit of kit for water changes. Each week you will be removing 10-15% of your aquariums water and it needs to be emptied into something! Buckets always come in useful in other ways, such as a place to clean aquarium ornaments or a place to store all your other aquarium equipment. Tip: Do not use a bucket / dish that is also being used in other places around the home. Soap and detergent is deadly to your fish even in small traces. A siphon is used for a necessary part of aquarium maintenance. Not only will it easily start removing water and transporting it to your bucket it can also be used to clean debris and fish waste from the gravel. The siphon works by manually squeezing a small pump in your hand. After about 5 squeezes the water will flow through the tube. Once the flow is going you can move the siphon around the tank picking up debris from the water and cleaning the gravel as it vacuums. An algae scraper will remove any traces of algae from the glass. It is best to work on this before it becomes a problem. Cleaning the glass makes the water look a lot cleaner! Sometimes what can look like dirty water is in fact a build-up on the glass. Make sure your scraper is built for the material your tank is made from. Usually blue sponges are for glass tanks and white is for plastic but always check before buying. A fish net is a very handy tool for removing larger pieces of debris from the tank. It will also be needed to remove fish from the tank. If one seems to be ill for example and needs to be removed in case of infecting the others. A fish net is the safest way to do this. Aquarium plant tweezers will help you to plant live plants and remove them. They also help to reach in to the far deep areas of the tank and pick up debris like uneaten fish food with minimum fuss. Water conditioner / tap safe is essential to have at all times. Clean water is a staple of good aquarium keeping – without clean water your fish will get ill and die. Tap Safe removes anything harmful to fish that can be found in tap water (for example traces of chlorine). Without it you will not be able to do your water changes and therefore the fish will suffer. Always handy to have a designated aquarium (small) towel or cloth. You will find doing water changes that some water is going to be spilled – usually (hopefully) not much but it still needs to be wiped up. We recommend having a specific towel for your aquarium work. You will not want this towel making its way into the bathroom or kitchen for normal domestic use! A thermometer should be attached to the aquarium at all times. You can get these at very affordable prices. Water temperatures are very important and should remain steady. Betta fish like a temperature of 77-79 degrees Fahrenheit. If you suspect your fish is starting to become ill the first thing to check is your water parameters. A simple water testing kit like this will measure the main conditions that are important to your fish’s health. Before introducing your fish to your tank it should be cycled. You will need to check your water parameters as part of this. A large jug will come in so handy! You will use this to mix the Tapsafe with the water before adding to your tank. It’s also a great place to wash items / ornaments before adding them to the tank. Was there anything on the list missing from your betta fish toolbox? Be sure to know the importance and benefits of each of these items. These would be items expected to be found in most budding betta fish owners house. What did you think of the list above? Anything missing? Let us know in the comments below. “you’re” Now YOU’RE set. Just a small grammatical thing. Aquarium salt,Heater ,filter, aged water is best.